AUSTIN, Texas — A federal judge late Thursday temporarily blocked Texas from enforcing new anti-abortion measures Gov. Greg Abbott signed in response to a U.S. Supreme Court ruling that struck down more sweeping abortion limits. 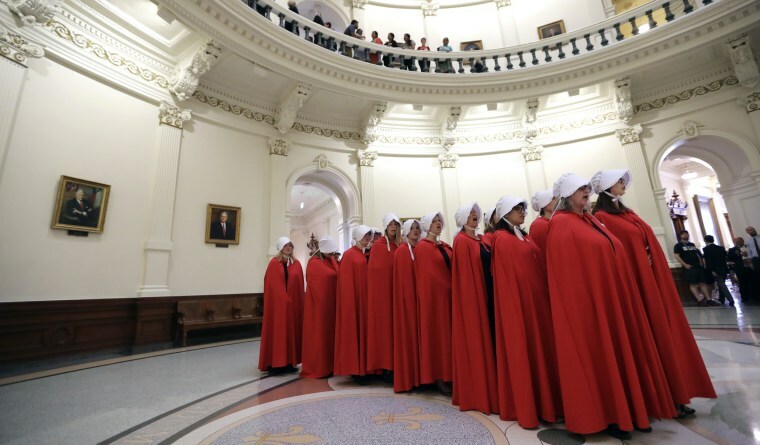 The order by Austin-based U.S. District Judge Lee Yeakel stops Texas from banning a commonly used second trimester abortion procedure, known as dilation and evacuation, which abortion providers say rarely results in complications. Courts already have blocked similar laws in Alabama, Kansas, Louisiana and Oklahoma. A court challenge also is ongoing in Arkansas. The Texas version was approved by the Republican-controlled state Legislature this session, signed by Abbott in May and had been set to take effect Friday. Texas is expected to appeal. Yeakel issued a restraining order and will hear further argument on whether the law is unconstitutional because it could place women undergoing abortions at greater risk. He set a Sept. 14 hearing for arguments on the merits of continuing an injunction from the abortion rights' groups that challenged the law and from the Office of Texas Attorney General Ken Paxton. "The court concludes that plaintiffs have established that absent a temporary restraining order they will suffer irreparable harm by being unable to access the most commonly used and safest previability-second-trimester-abortion procedure ahead of any substantial constitutional review of the act," Yeakel wrote. The judge added that "it is in the public interest to preserve the status quo and give the parties ample opportunity to develop the record regarding the constitutional questions raised without subjecting plaintiffs or the public to any of the act's potential harms." In a statement, Texas Right to Life said "The abortion clinic lawyers are attempting to frame this lawsuit on how SB 8 will affect Texas women and the abortion industry, however the important question before the court is whether this type of procedure is something Texas has the right to prohibit." "While some Pro-Lifers may be tempted to despair at today's ruling, this is the first step in a longer and consequential legal battle over this dynamic and historic legislation," the organization said. The ban is part of a broader measure, Senate Bill 8, that effectively served as the state's answer to last year's Supreme Court ruling. That decision, the court's most significant abortion-rights ruling in a generation, tossed out a 2013 Texas law that led to the closure of more than half the state's abortion clinics. The new Texas law uses the non-medical term "dismemberment abortion" to describe a procedure in which forceps and other instruments are used to remove the fetus from the womb. The Center for Reproductive Rights, which is one of the groups that sued to block the law, says it is the safest and most common way of terminating a second-trimester pregnancy.